The energy sector is one of the main sources of greenhouse gas emissions, in both the transport and electricity subsectors. 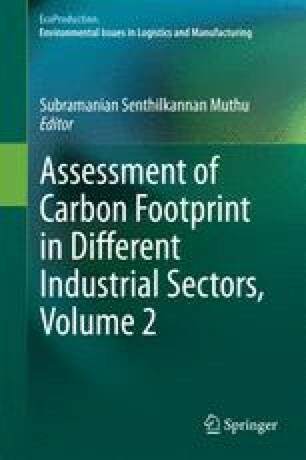 Taking into account the current context of the energy sector, relevant case studies concerning biofuels and CO2 capture in power plants are defined and inventoried to evaluate their carbon footprints; the suitability of these carbon footprints as single indicators is then discussed. The methodological framework proposed in the Life Cycle Assessment standards is followed. The fuel systems evaluated involve second-generation biofuels from short-rotation poplar biomass: (i) synthetic fuels (gasoline and diesel) produced via biomass pyrolysis and bio-oil upgrading and (ii) hydrogen produced via biomass gasification and biosyngas processing. Four case studies of coal power plants with CO2 capture technology are also evaluated, including post-combustion CO2 recovery through chemical absorption, membrane separation, cryogenic fractionation, and pressure swing adsorption. Inventory data for the analysis are based on process simulation, robust databases, and scientific literature. The carbon footprints calculated show a promising life-cycle global warming performance of the energy products evaluated. However, conflicting results are found when evaluating other impact categories. Therefore, decisions and recommendations based solely on carbon footprints only capture a partial picture of the environmental performance, although different levels of risk are associated with the use of carbon footprints as single indicators, depending on the type of systems and products under evaluation. The use of multi-indicator approaches is recommended because the inclusion of additional impact categories leads to a more comprehensive evaluation of the environmental performance of energy product systems, thus facilitating a more sensible decision-making process oriented towards environmental sustainability. This research has been supported by the Regional Government of Madrid (S2009/ENE-1743) and the Spanish Ministry of Economy and Competitiveness (CTQ2011-28216-C02-02 and ENE2011-29643-C02-01). The authors would like to thank Jens F. Peters and Ana Susmozas for valuable scientific exchange.